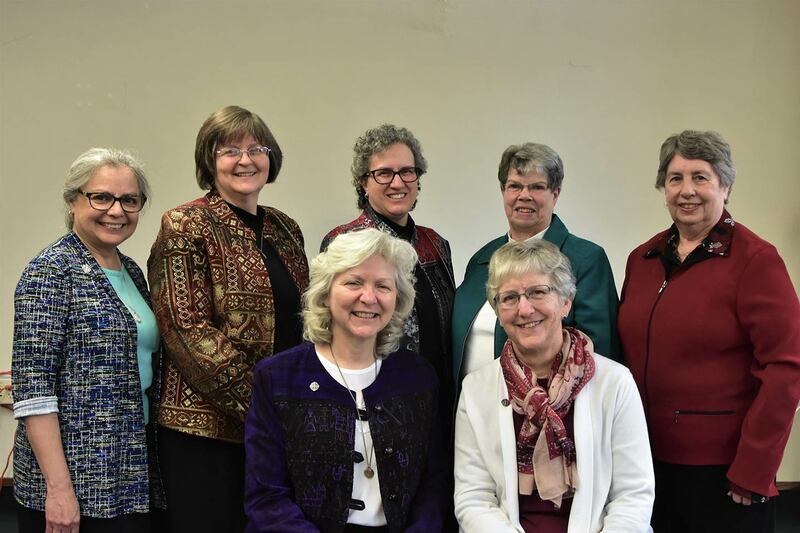 A provincial election assembly of 80 sisters elected six provincial council members and one provincial leader on March 16, 2019, at Our Lady of Good Counsel in Mankato, Minnesota. The election process was a prayerful and spiritual event to determine who is needed for leadership now and into the future. The Election Assembly has called Sisters Dawn Achs, Mary Kay Brooks, Christine Garcia, Helen Jane Jaeb, Anna Marie Reha and Lynne Schmidt to serve as the Central Pacific Province Provincial Council and Sister Debra Marie Sciano, as the new Provincial Leader. Installation of the newly elected Provincial Council is planned for Pentecost Sunday, June 9, 2019. Join us in praying for the sisters during their time of transition.